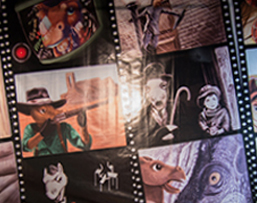 The ASI Art Program creates an engaging and stimulating environment for the campus community to engage with new and existing artwork in the Bronco Student Center. The program acquires and displays art created by artists that reflect diversity. Students are offered internships through the program, which provides an opportunity to gain gallery work experience while receiving course credit. 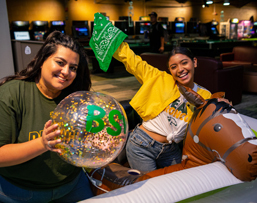 The Bronco Events & Activities Team (BEAT) exists to enhance student life at Cal Poly Pomona. Bringing quality live entertainment to campus and maintaining a fun learning atmosphere are some things the BEAT is known for, but there is much more to how the team operates.